The $16 million project comes as the hospital is reconfigured into what officials call a one-stop shopping health center for outpatient care. 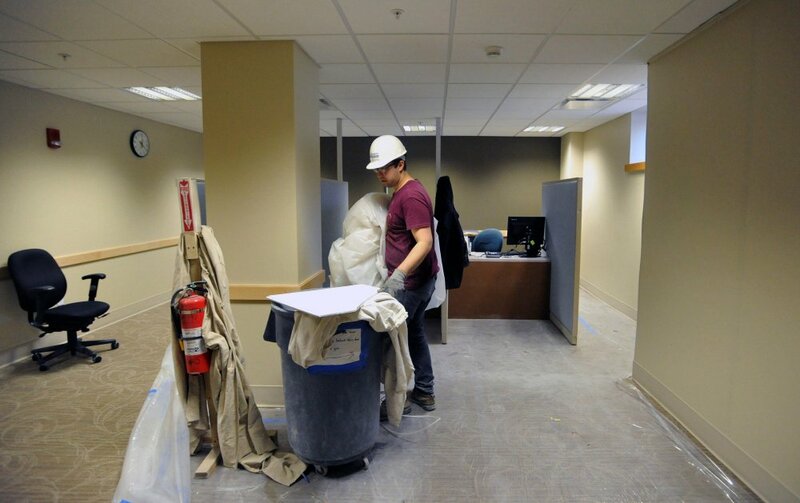 WATERVILLE — The $16 million renovation at Thayer Center for Health on North Street is expected to be completed by Oct. 1. Construction at the 250,000-square-foot hospital started Nov. 11 and is going well, said Chuck Hays, president and chief executive officer of MaineGeneral Health. A former inpatient hospital, Thayer will become what officials are calling a one-stop shopping health center — and the largest outpatient hospital in the state. Its four floors and basement will be full and will house not only the 24-hour emergency department, but also doctors’ offices and related procedures, a pediatric center, day surgery, dialysis, workplace health, cardiac rehabilitation, wound healing clinic, radiology and diagnostic imaging, among other departments. Some MaineGeneral operations will be moved to Thayer from other areas of the city and Fairfield over the next few months, with laboratory and cardiac rehabilitation services moving first, and physicians’ practices, last. “All physicians’ practices will move in all at once — in a September-October framework,” said Nicole McSweeney, MaineGeneral’s director of marketing and communications. Thayer’s inpatient operations were moved in November to MaineGeneral’s $312 million Alfond Center for Health, the new regional hospital in Augusta. If patients at Thayer Center for Health need to be admitted to a hospital, they are typically taken by ambulance south on Interstate 95 to the Augusta hospital — about a 20-minute drive. Inland Hospital, on Kennedy Memorial Drive in Waterville, which is part of Eastern Maine Healthcare System, also admits patients. Hays said the number of day surgeries at Thayer has already jumped by about a third since the Augusta hospital opened. “From Nov. 6 to the second week in February, we’ve done about 1,000 outpatient surgeries at Thayer alone and we expect that to grow,” he said. John Scott of J.F. Scott Construction, based in Winthrop, is the contract manager for the Augusta hospital project as well as the Thayer renovation. “We have a lot of faith in him and he’s just great at what he does,” Hays said. Entrance to Thayer will continue to be off Eustis Parkway, but will be improved, according to officials. 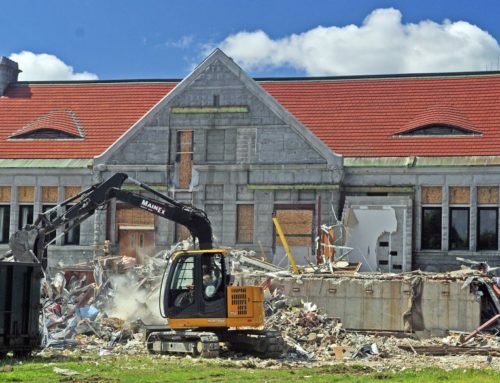 The main entrance to the building itself — now off North Street — will be moved to the east side of the building and will look much like the entrance to the Augusta hospital. The current North Street entrance will become a fire exit. “We’re going to have, probably, 1,000 patients a day go through the building,” he said. Thayer’s new entrance will have a canopy over it, to make it easier for people to wait in bad weather for dropoffs and pickups. The parking area to the east of the building will be reconfigured and graded to make it more level and provide easier access to the hospital. The number of parking spaces will increase from 821 spaces to 882. 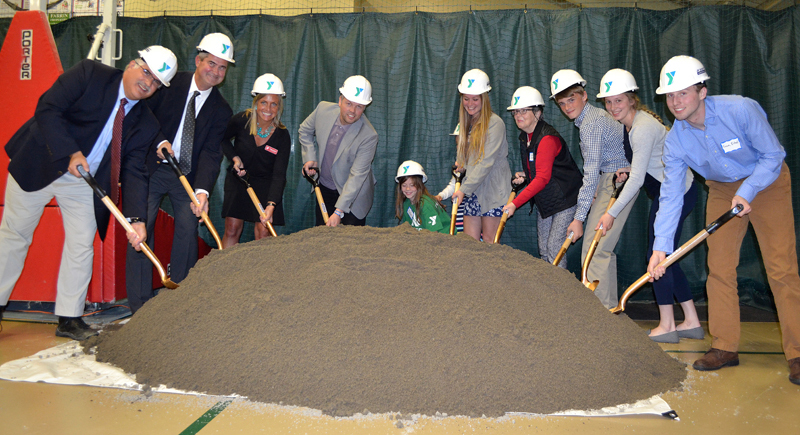 Thayer’s first floor will house cardiovascular, dialysis, nephrology, volunteer services, imaging, laboratory and endoscopy on the first floor; allergy, asthma, pulmonary, cardiac rehabilitation and the cafeteria will be in the basement. 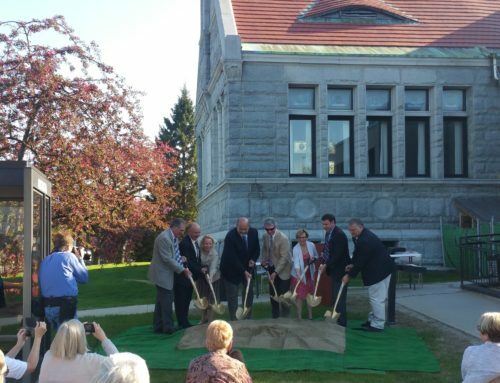 Buffy Higgins, Thayer’s director of operations, said physicians’ practices, including those moving to Thayer, will be on the second floor, where day surgery also is located. Outpatient and physical therapy operations at MaineGeneral’s Seton campus on Chase Avenue will move to the third floor, formerly the maternal health department; workplace health also will move to that floor, she said. Employees at Seton have visited their future workplace and had a pizza party there, Higgins said. Five physicians’ practices and residencies from Fairfield will move to Thayer’s second floor. The Edmund Ervin Pediatric Center will move from MaineGeneral’s Seton campus to the fourth floor, formerly the behavioral health unit, which moved to the Augusta hospital, according to McSweeney. MaineGeneral will stay at FirstPark off Kennedy Memorial Drive in Oakland, as well as at Elmwood Primary Care at 211 Main St. in Waterville and Oakland Family Practice at 9 Pleasant St. in Oakland. The business office, including billing and collections, will move from Seton to Hathaway Creative Center on Water Street, where MaineGeneral’s HomeCare & Hospice, human resources and behavioral health offices are. Maine General employs about 1,000 people in the Waterville area. Workers will remove heavy concrete and a large vault on Thayer’s first floor that many years ago was used for radiation treatment purposes. The vault and concrete were covered with tiered platforms during a Thayer renovation many years ago and the area was used for receptions and as an art exhibition and gathering place. More than a million pounds of concrete and a lead vault door weighing 4,000 pounds will be removed from the spot, which is next to the former gift shop. Hays said the concrete will be drilled and cut out, with much of the work taking place off-hours. “It’s going to be dusty and noisy,” he said. 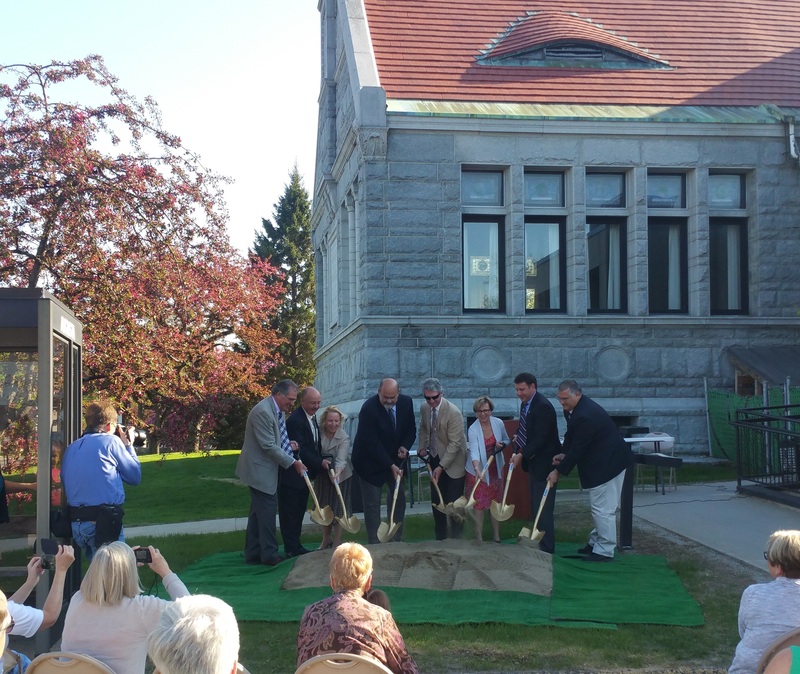 The helicopter pad outside Thayer also will be moved to be more easily accessible. Inside the building, operations continue with minimal interruption as workers renovate. “It’s health care, so you can’t really shut down for a day,” McSweeney said. 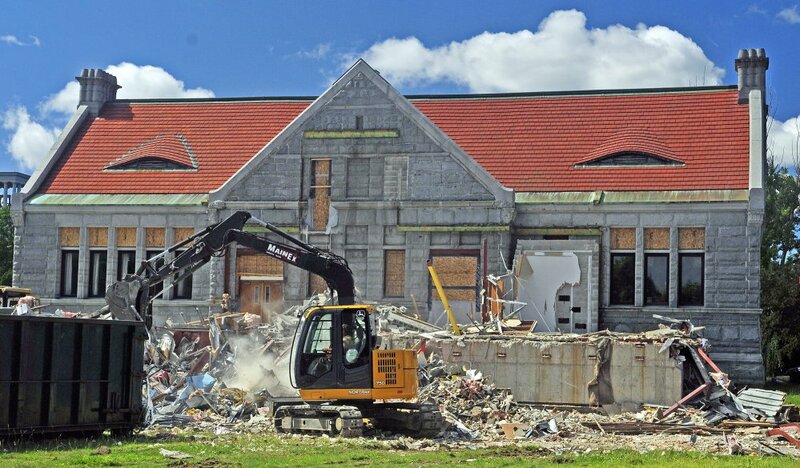 Hays said there have been few issues as renovations move forward, partly because so many people at MaineGeneral were involved in the planning and officials learned from the experience of building and moving into the Augusta hospital. 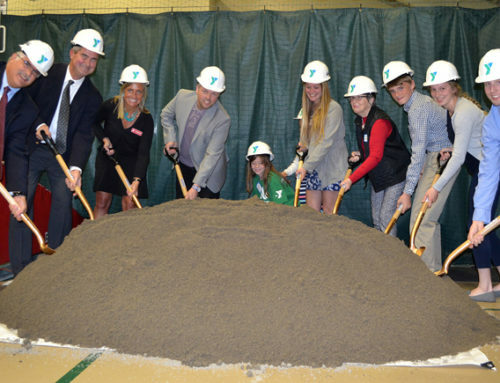 “The building of Alfond Center for Health has worked out well for us and I expect it will be the same for Thayer because of all the involvement we’ve had,” Hays said. He and McSweeney said MaineGeneral keeps track of patient satisfaction data on a monthly basis at the Augusta hospital. He said, however, that officials are still working out flow issues at the hospital and determining what works best.